Ratio Tuned Machine Heads are the first and only machine head to incorporate the different string gauges into the tuning equation. The gear ratios range from 12:1 to 39:1, specific to the relative core size of the string being spun on each, resulting in a consistent response across all strings. One half turn is a semi-tone; one turn is a tone. Installation is unprecedentedly simple, as each set of Ratios comes with four full sets of Invisomatch mounting plates. In most cases, whatever the current hole profile under the old tuners - one or two screws, 45 degree, 90 degree, etc - one need only position the appropriate plate between the tuner and headstock, utilizing the existing screw holes with no drilling or filling required. 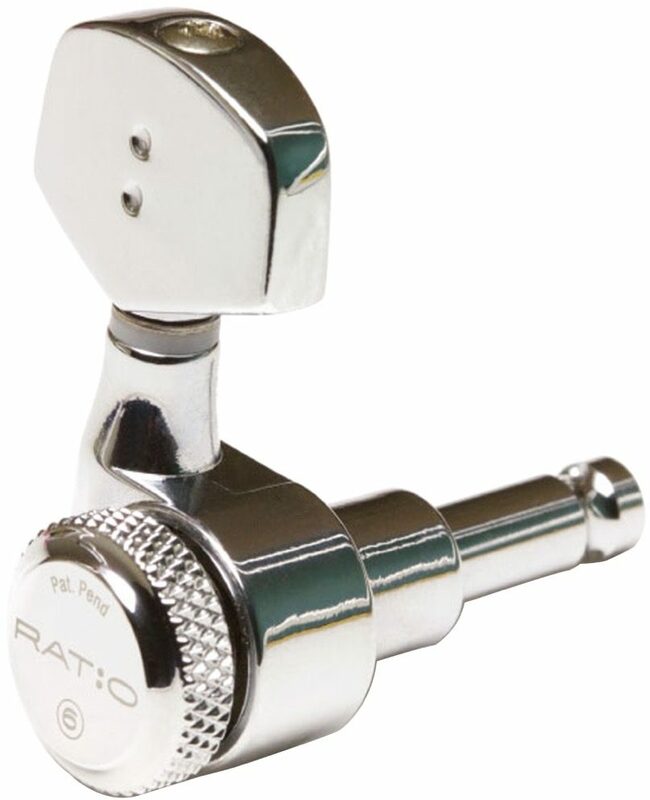 The PRL-8311-C0 is a set of Ratio Locking Tuned Machine Heads for an electric guitar that uses three a side tuners. It has a contemporary shaped button, has a two pin casing and is finished in chrome. Includes InvisoMatch Standard Mounting Plates for easy installation. Fits most headstocks. zZounds is an authorized dealer of Graph Tech products. "Good product bad.. Not so good customer service"